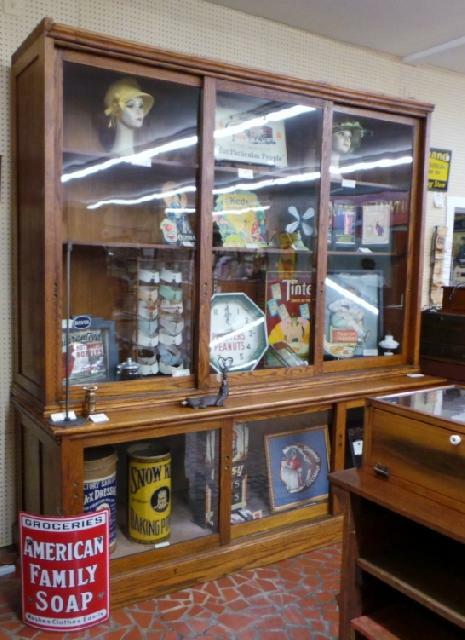 Large 1920s oak floor show case with three sliding glass doors on the base and a step back top that also has three sliding glass doors. The finish and glass appear to be original and the top section has two shelves that run its length. The left side is finished in plain oak panels, but the right side is unfinished poplar. 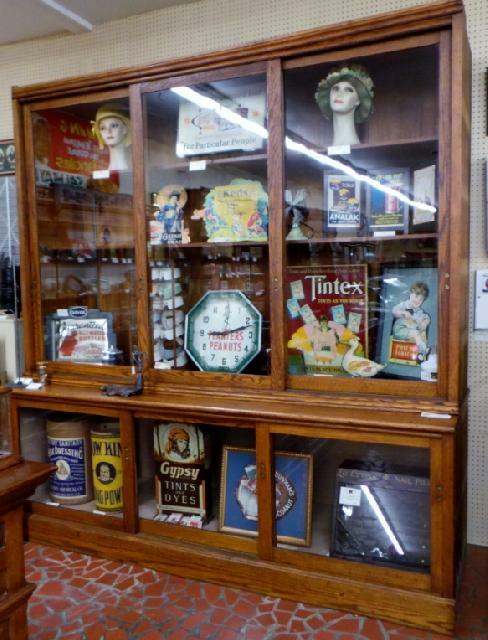 Originally this showcase was attached to another showcase. It has a crown molding at the top in the front only. It is a nice large case and is in excellent condition. It measures 100 tall by 95 wide. The base is 32 deep and the top is 22 1/2 deep. Items shown are not included.